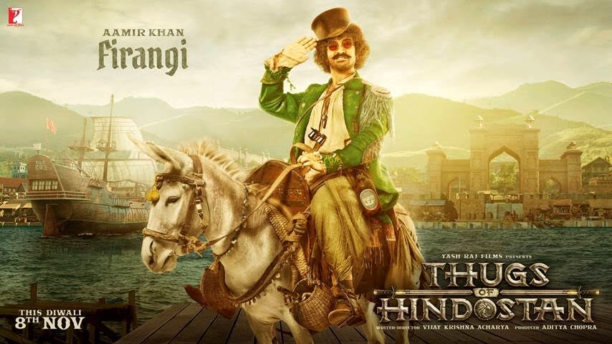 Aamir Khan’s character in YRF’s Diwali entertainer Thugs of Hindostan has become a huge talking point among audience even before the release of the film. He plays the character of Firangi – a flamboyant, deceptive, slippery, smooth-talking thug who cannot and should never be trusted. Aamir and the other thugs of the film speak about the notoriously charming Firangi. Thugs of Hindostan, the visually grand mega action adventure from Yash Raj Films, is a fictional story that is set during British East Indian Company’s rule over India in the 1800s. It boasts of a larger than life, never seen before action extravaganza and an incredible casting coup that brings together two of the biggest legends of Indian cinema, Amitabh Bachchan and Aamir Khan on screen for the first time. Thugs of Hindostan is set to release on November 8, a national holiday, in Hindi, Tamil and Telugu.